I shall count the ways. 1.) 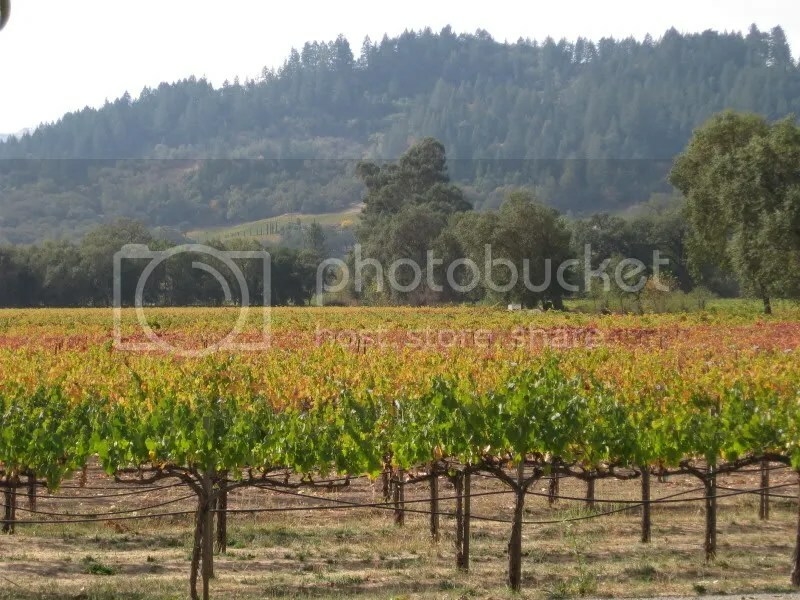 Beautiful vineyards. 2.) Excellent wines. 3.) Fabulous people. 4.) Olives. And on and on and on. 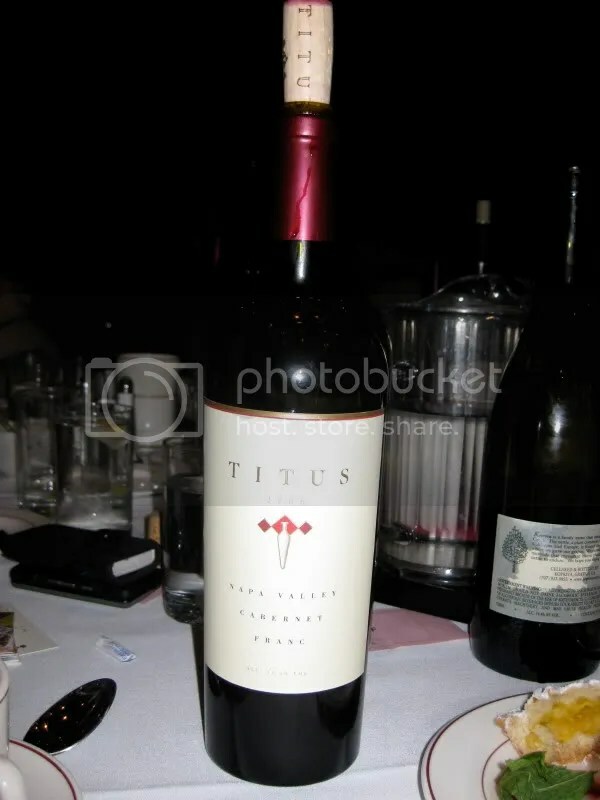 We went to Titus on our latest CA visit this past spring, but I bought this wine some time ago. Cabernet Franc is one of my favorites, so I’m unable to resist the Titus version. They don’t make terribly much of it, so we have joined their club in order to ensure our continued to access to the wine. Lifeblood. Wiiiiiiinnnnnnneeeeee. (Says Homer Simpson.) 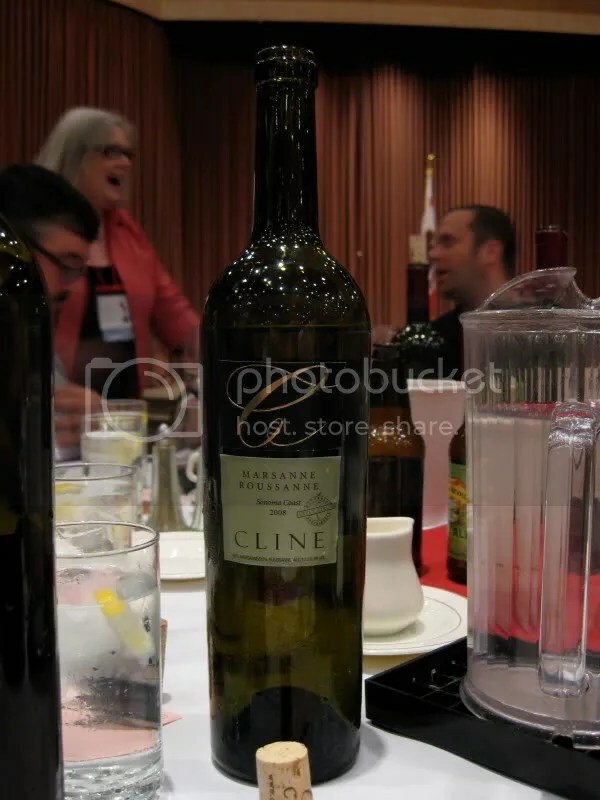 In this particular instance I’m talking about the 2009 Titus Cabernet Franc. It has a real cork closure, clocks in at 14.3% alcohol by volume, and I can’t recall what I paid for it. 2.) Spend a day sitting at the picnic table at Titus Vineyards. You won’t regret a moment of that time. 3.) 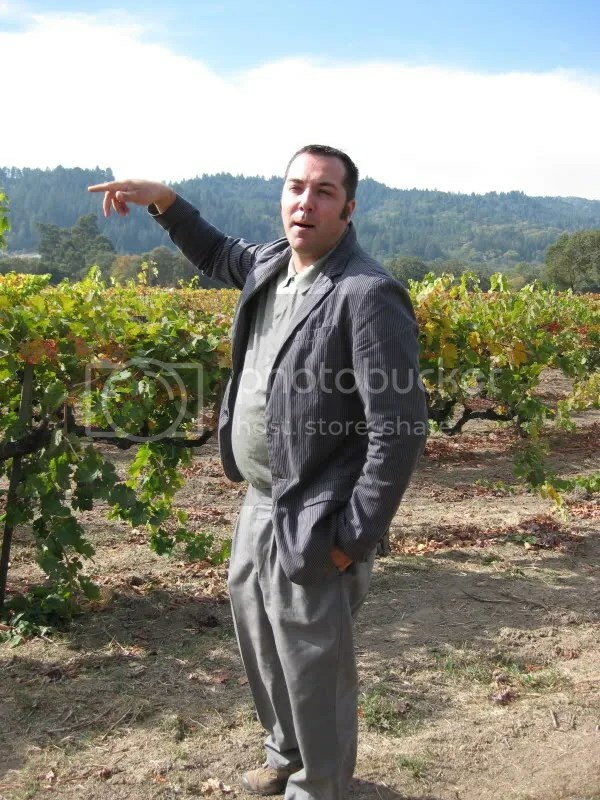 Drink more Cab Franc to encourage more (domestic) wineries to produce and distribute it. 4.) I think this would be awesome in the fall with beef stew. On the nose I got chocolate, strawberries, raspberries, spices, herbs, sage, coffee, red currants, and cherries. This wine has that kind of nose I want to get lost in. In the mouth I got black raspberry, black cherry, spices, herbs, chocolate, and earth. I found it to be juicy with nice dark fruits and a long finish on the palate. Drink up! 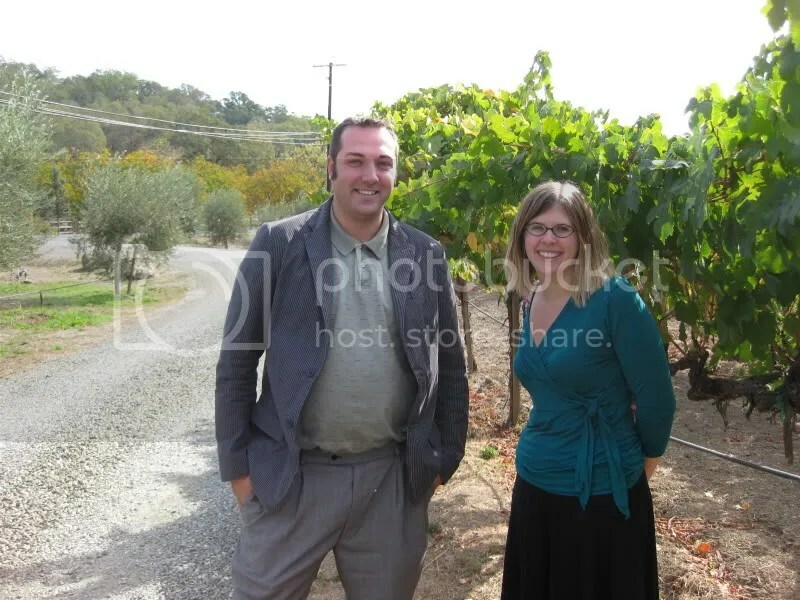 On our last trip to Napa we encountered a classic piece of agriculture technology at Titus vineyards – a 50+ year old frost fan, claimed to be the oldest in the county. 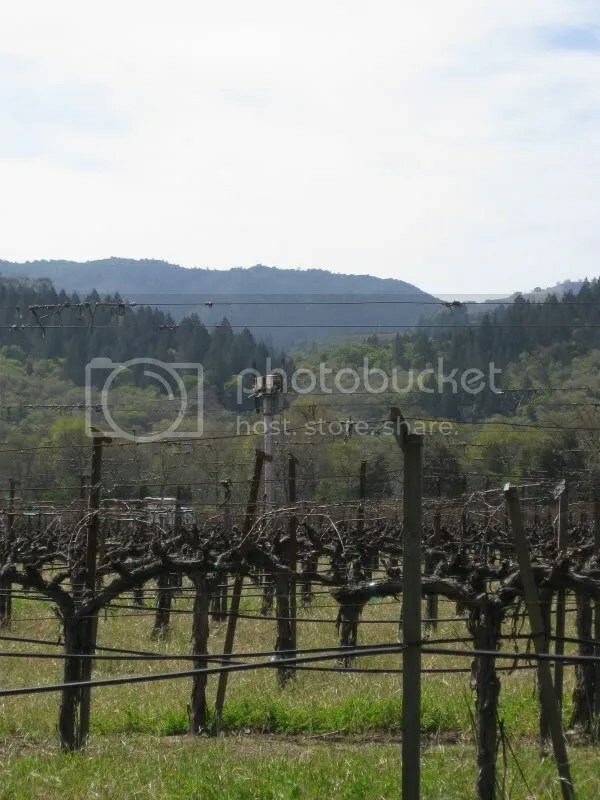 The giant frost fans that tower over the occasional vineyard in the region are mostly used in the spring to prevent frost from destroy budding vines. More popular in the mid-20th century, the large fans are relatively rarer these days. These older diesel fans have at times created controversy, largely on account of the amount of noise they can produce. Typical noise is 70 to 80 decibels, but some have been reported at “an ear-splitting 97 decibels,” described as sounding like being in an air raid. The Titus fan brooded silently for a while we enjoyed our morning sitting at a picnic table tasting Titus’ wines, which were excellent, before roaring to life and settling into a slow and steady purr. The day after the Wine Blogger Conference, Thea, Lynn, and I went out to terrorize Napa. No, really, we’re a bit loud and talkative when you get us in a group. I’m sure Christophe regretted agreeing to do a tour and tasting with us at Titus! We arrived, albeit in the case of Lynn and I, slightly late, just after noon. You wonder how I couldn’t make it to a noon appointment on time? Well, let’s just say the one lane road I took from Healdsburg over to Napa didn’t help much! 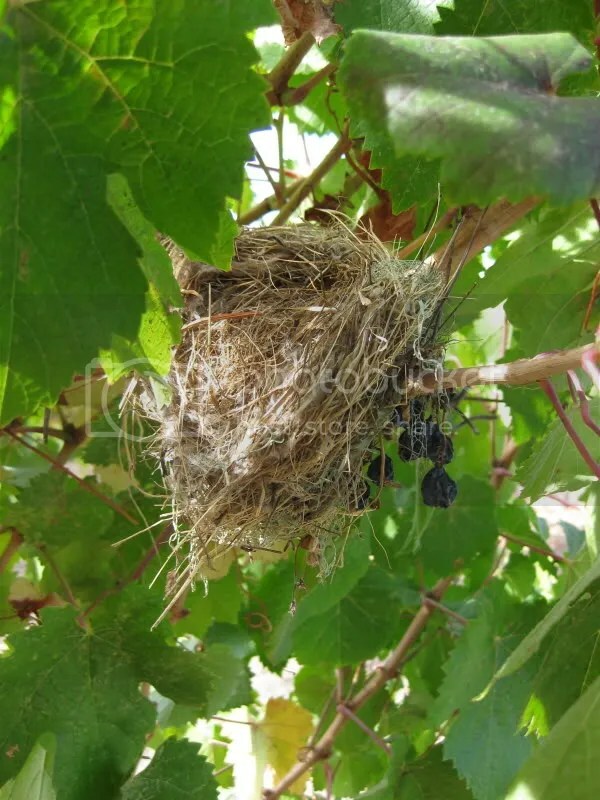 I found a bird's nest! 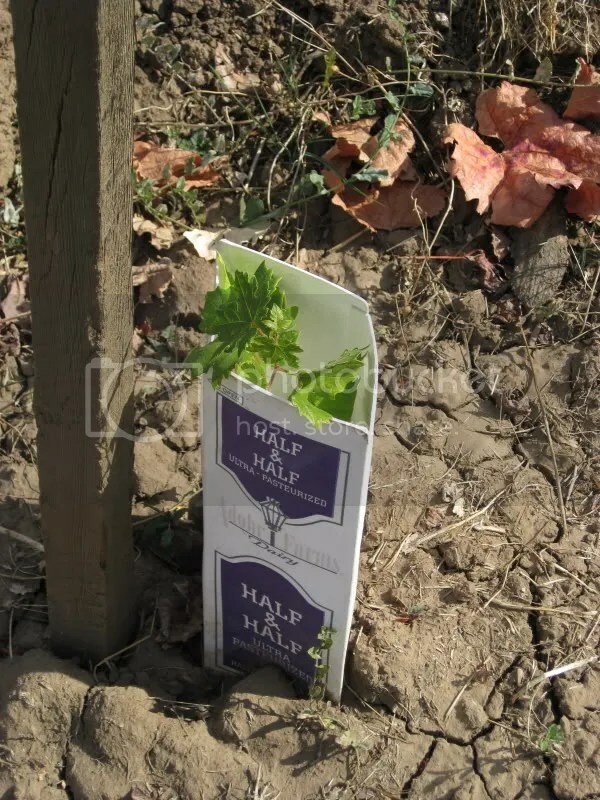 Before we tasted anything, we took a long stroll through the vineyards, tasting the second growth, checking out all the vines, and generally enjoying the lovely weather. Christophe graciously gave us the background of Titus and the family behind it, and discussed the recently completed harvest and crush. 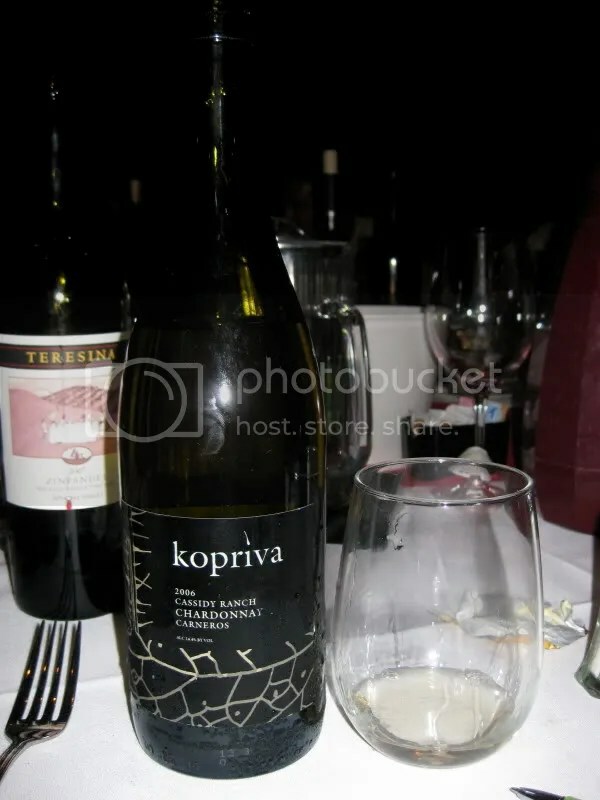 Next, it was onto the wine! 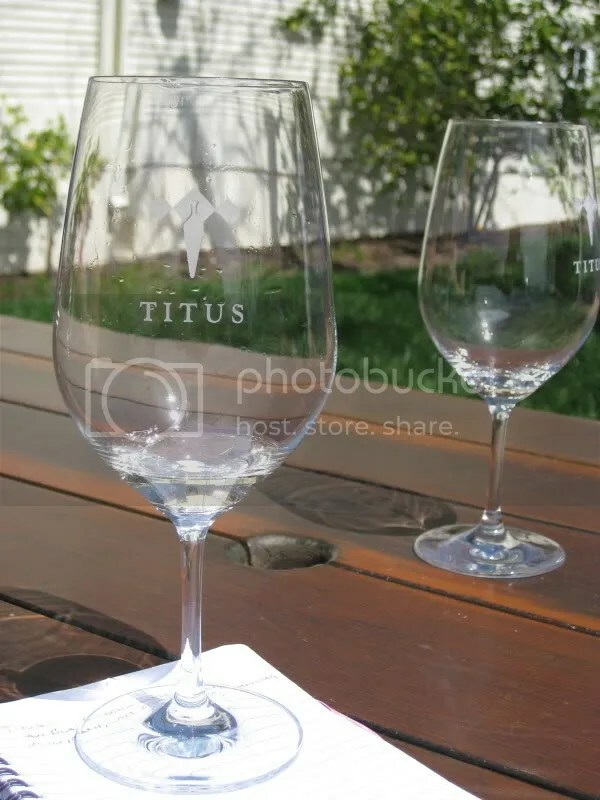 Titus doesn’t have an official tasting room, so we were lucky enough to settle in among the giant rosemary bushes and olive trees to taste at a picnic table just on the side of the vineyard. 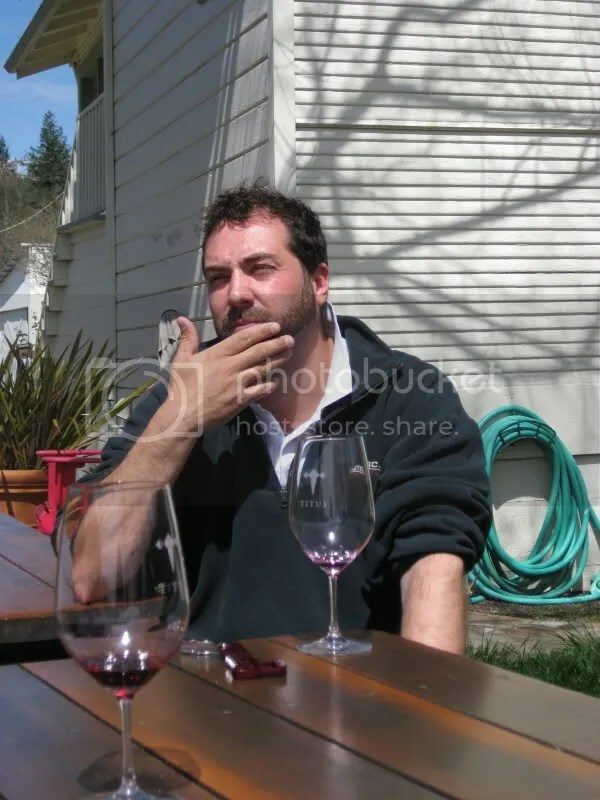 I love the slow pace of tastings outside a tasting room, and of having the folks who are talking to you about the wine sitting there and tasting right along with you. 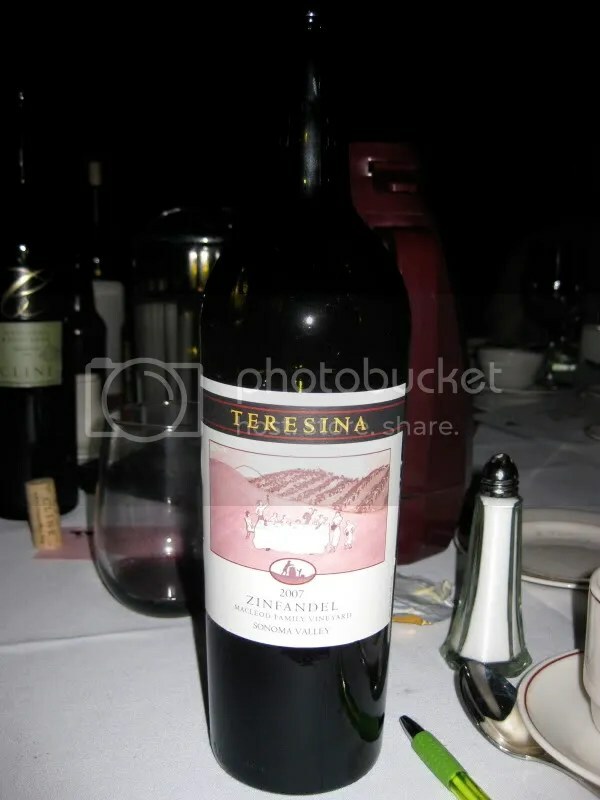 2006 Napa Zinfandel: $27. 15% alcohol by volume. Cracked pepper, blackberry, blueberry, tobacco, mint, black cherry, all spice/baking spice, sage, tobacco, licorice, dark chocolate, vanilla, cherry, tart. Very restrained Zin, no pie or jam on this one. 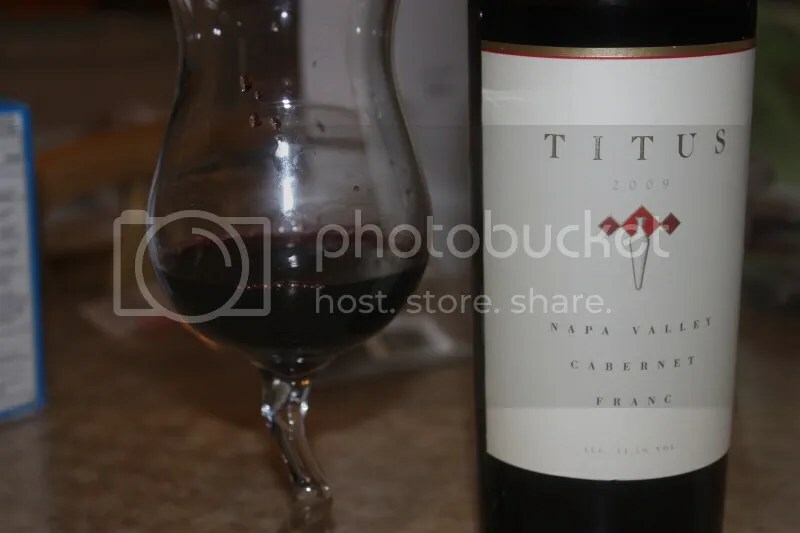 2005 Napa Cabernet Sauvignon: $41. 14.7% alcohol by volume. 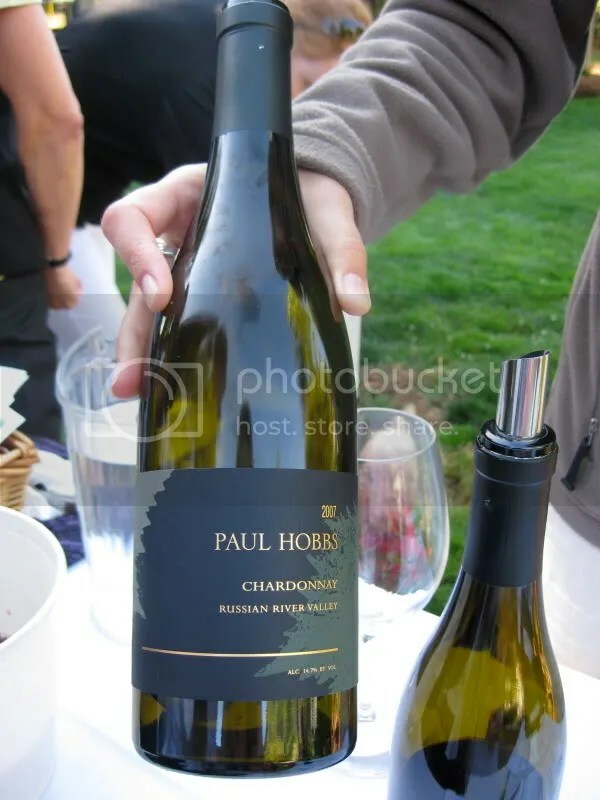 Black fruit, leather, red berries, raspberries, vanilla, tannic, anise, blackberries, spicy, earth, smooths out beautifully as you swirl, black cherries, roses, violets, quite fruity. 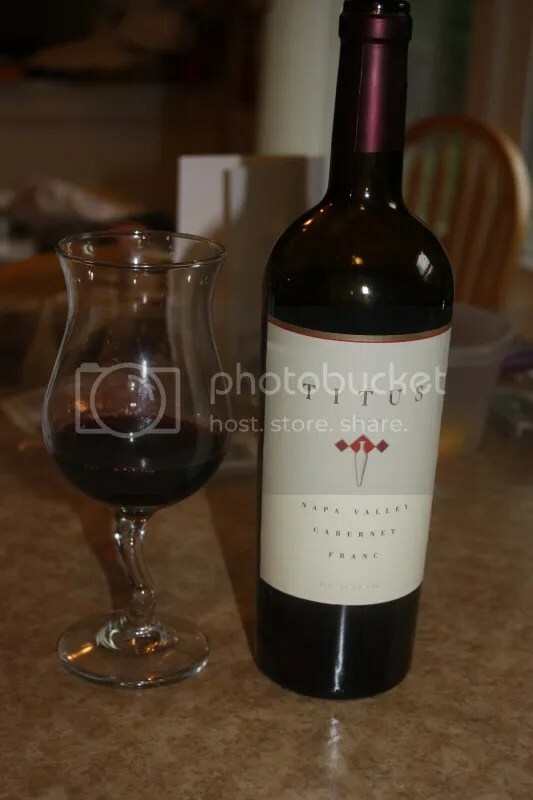 2005 Napa Valley Reserve Cabernet Sauvignon: $60. 14.5% alcohol by volume. Big fruit, black cherry, violets, vanilla, coffee, cocoa, dusty chocolate, mocha, chocolate malt, leather, spicy, big blackberries, caramelized berries, dark raspberries, fruit is mostly on the front of the palate, lots of time left on this one. I bought one to take home. 2006 Petite Sirah: $36. 14.8% alcohol by volume. Black as night. Smoky, toast, blueberry, brown sugar, a hint of meat, white pepper, tinge of raspberries, caramel, tannic. I took two home. 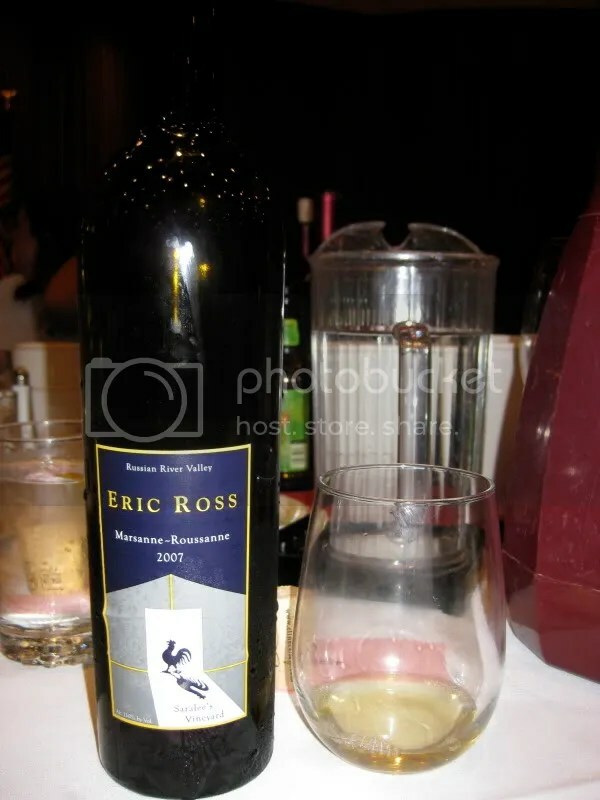 2005 Red Wine Lot 1: $60. 14.5% alcohol by volume. 65% Petite Sirah, 30% Petite Verdot, 5% Zinfandel. Baked apple, cinnamon, baking spice, blackberry, blueberry pie filling, caramelized brown sugar, smooth, delicious fruit. I bought one to take home. Overall, I was very impressed with all the wines here. I also loved visiting Titus. This is another one I hope to take Matt to on our next trip out West!